Even with all the documented facts out there regarding migraine headache and how it impacts a person’s life, work, and family, there are still many people who do not seem to know the condition is not the same as a regular headache. If you suffer from migraine, you are part of the ranks of more than 35 million other sufferers in the United States who get frequent migraines. 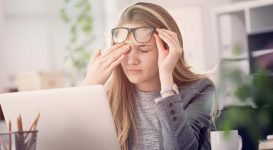 According to the Migraine Research Foundation (MRF), a Manhattan-based nonprofit organization that offers support and information, these excruciating headaches affect more women than men, with about 18 percent of females afflicted versus six percent of men. Given these statistics, the lack of knowledge often expressed by those who have never had a migraine is shocking. Many seem to think it is just a bad headache, so there is no reason for missing work or canceling your plans. Sufferers can be seen as weak or someone who enjoys complaining and attention. This is so far from the truth. Migraine is a debilitating, neurological condition that affects millions of people and can negatively impact one’s quality of life, work, relationships and daily functioning. Raising awareness can help to put an end to the myths and help the population to have a better understanding of what a migraine is a how it affects daily life. Awareness within the home can help loved ones understand how to care for someone with a migraine. 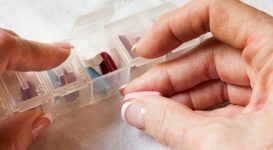 With an ordinary headache, what typically occurs is a narrowing of blood vessels within the head, which can be eased by taking over-the-counter aspirin or other pain relievers. Migraines are caused by the swelling and expansion of blood vessels, and though certain treatments may provide migraine relief, there is no cure and many remedies simply do not work on this level of pain. Some migraines last for 72 hours, versus a bad headache lasting for an afternoon. According to this report, a deficit in education is the cause, since non-specialist physician undergraduate medical training included only four hours regarding headache and migraine, and specialist (neurologist) training included 10 hours. 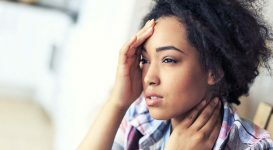 It is not unheard of for some patients to have their migraine symptoms dismissed as stress, premenstrual syndrome (PMS) or depression. Perhaps you may have encountered a few doctors who were not well versed in the latest studies of this chronic condition. 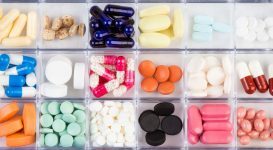 Often when a sufferer first appeals to their doctor for help, the physician may miss the typical cluster of symptoms, like severe headache, nausea, vomiting, visual disturbances, and sensitivity to noises and smells. Sometimes, just getting diagnosed is an accomplishment. Since it occurs most often in women, it is also easy for people to forget men get migraines as well. But, the only reason it is believed to be more prevalent in females is women have more incidents in their lives where their hormones fluctuate (menstruation, menopause, pregnancy) than men do. 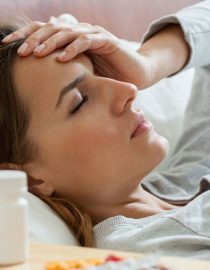 Higher estrogen levels sometimes improve migraines, and lower levels may make them worse, according to the Mayo Clinic. So, the other misconception that it is a ‘hysterical female’ issue has been put to rest by science. 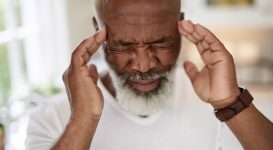 For both men and women, emotional periods in their lives and stress may release chemicals that provoke migraine-causing vascular expansion in the brain, according to Harvard Medical School’s Beth Israel Deaconess Medical Center (BIDMC). What Are the Essential Facts Everyone Should Know? It is important for everyone to know the facts. Migraine begins with a physiological (not psychological) trigger, which causes the cranial blood vessels to dilate, and nerve endings to release chemical neurotransmitters. The result is incredible, unbearable nerve pain and increased sensation to the other senses, so light, noise and movement make the pain worsen. Next page: what do migraines actually feel like?